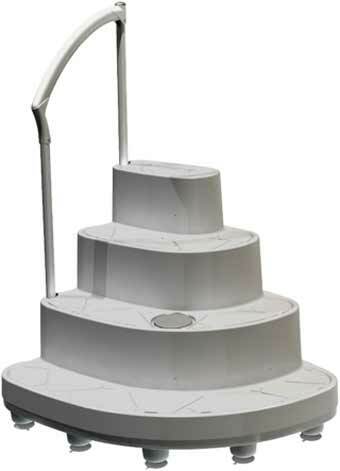 The Fiesta swimming pool steps or steps, ladder combo, is economical and very user-friendly. Ideal for pools with 48 to 54 inch walls with a flat bottom. A sturdy step system that can be installed in seconds! Includes the step cups and the light niche. 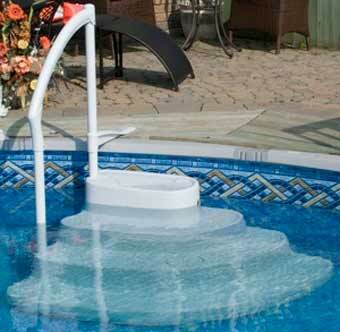 The H20 swimming pool step is ideal for all kind of pools. 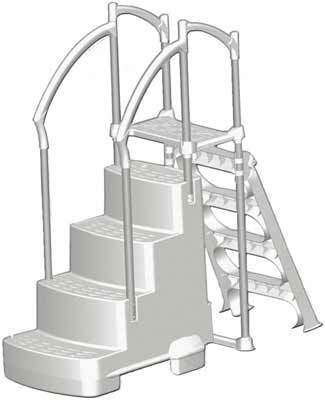 Molded in one single piece and entrapment free, this ladder is child safe. 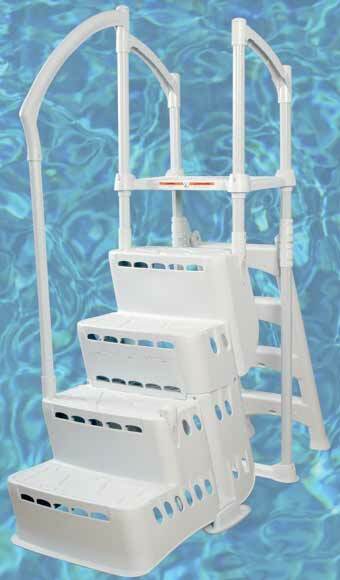 The H2O can be assembled with the classic ladder or the Self-Latching ladder on pools with no deck. 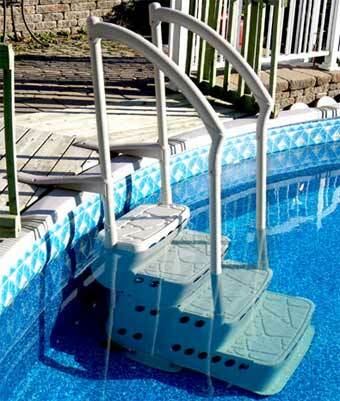 This practical and inexpensive slip-resistant above ground swimming pool ladder offers you great water circulation to prevent algae formation. 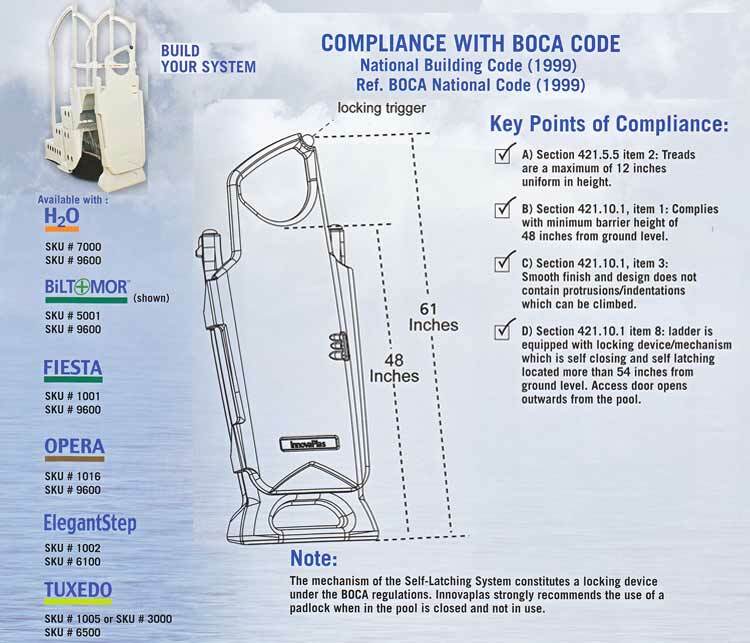 It can be installed on a pool with no deck with the classic ladder or the self-latching system, giving you added safety. Including the step cups system and a light niche. 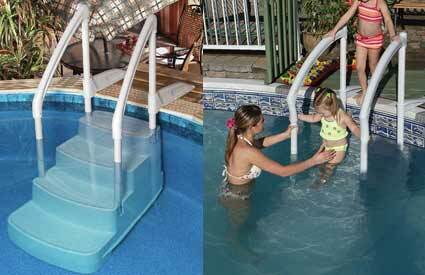 The Majestic swimming pool ladder is a wide and sturdy step ideal to enjoy a relaxing day under the sun. Its booster system makes it easy to care for and protects the step from algae formation. Includes the step cups system and a light niche.